Around 2010, except for appearing on SAYS YOU, I retired from working actively in the media. My wife, Harriet Reisen (herself a writer and producer) and I sold our house in Massachusetts and moved to a one bedroom apartment in Manhattan in 2013. Since then I’ve written HOUND AND FOX, a play, and a graphic novel, called “Walloped.” (A wonderful graphic program called ComicLife helped me do the illustrations and conduct the conversation between the left and right sides of my brain.) “HOUND AND FOX has received a staged reading at the Martha’s Vineyard Playhouse. 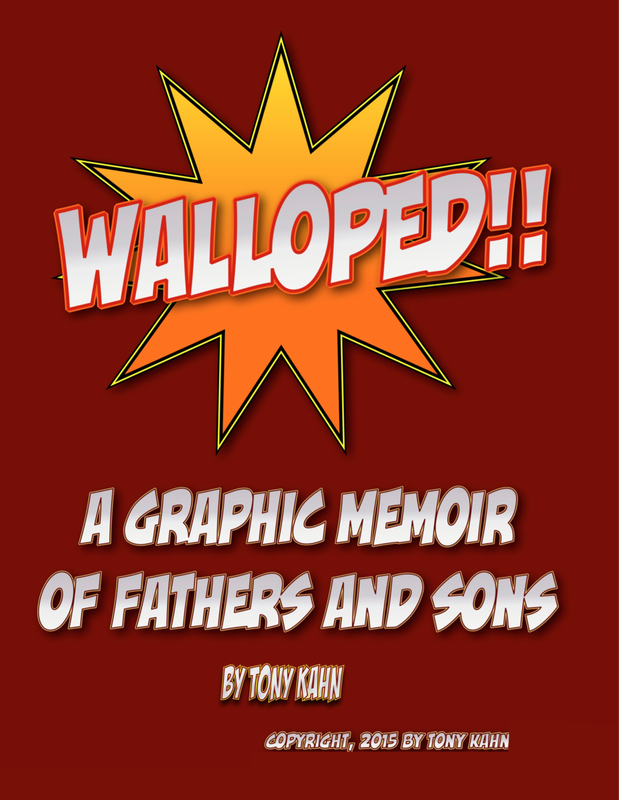 “Walloped” is based on a true story of an adoptive family in crisis and not presently available for publication. Anyone interested in discussing the issues involved is welcome to inquire at tonykahn@gmail.com.